The Timesvape Reverie RDA is an all-new 24mm single coil RDA designed in USA by Stan who is a famous reviewers in YouTube. The Reverie RDA comes with a simplified vertical build deck for easy vertical single coil building with a convenient squonk pin and deep juice well. What's more, the Reverie RDA 24 features multi-port airflow system with many options to provides precise airflow control and optimal flavor. 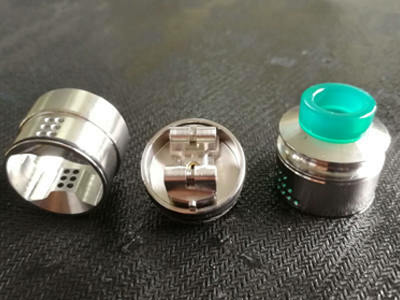 Together with a reduced inner chamber for maximum flavor and two kinds of 810 drip tips, the Timesvape Reverie RDA will bring an unbelievable vaping for you!